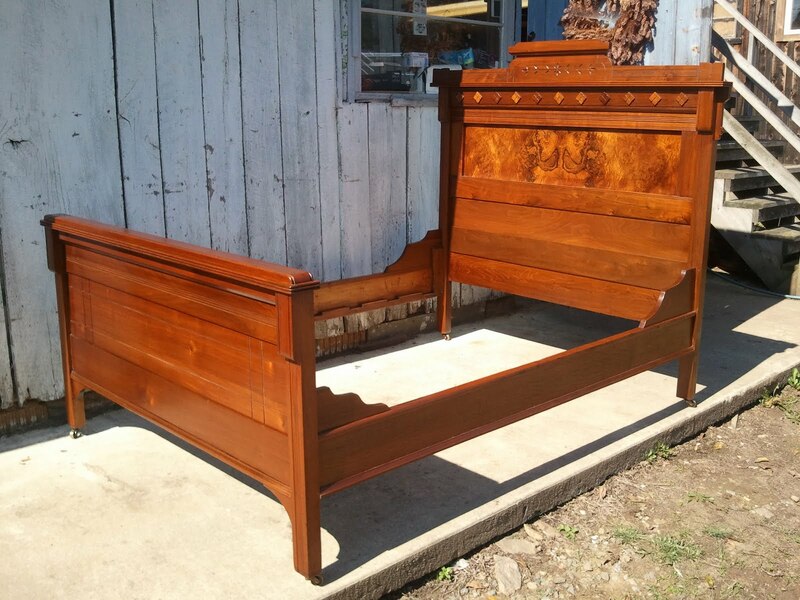 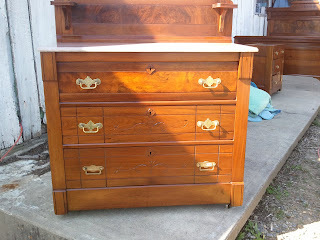 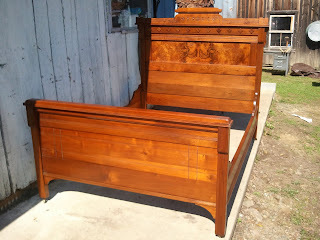 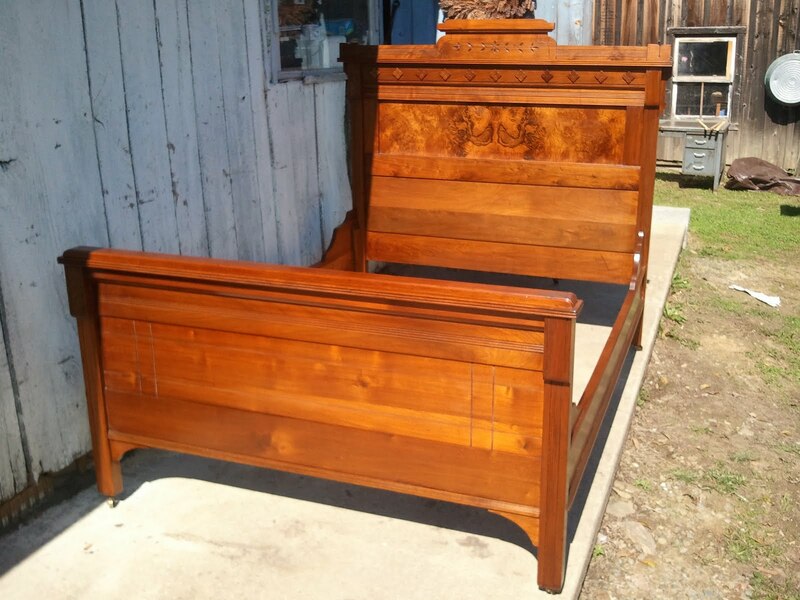 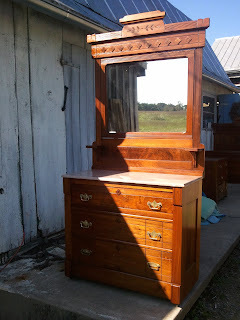 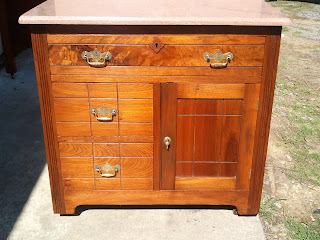 I have finished the Eastlake bedroom set I have been working on and have posted several photos of the chest with mirror, The Washstand, and the Bed below. 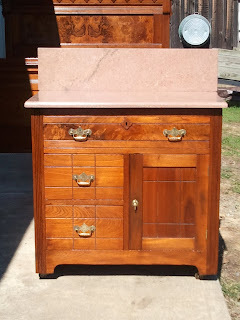 The removal of the old finish and application of a new shellac finish really brought out the natural beauty of the walnut, especially the burled veneer. 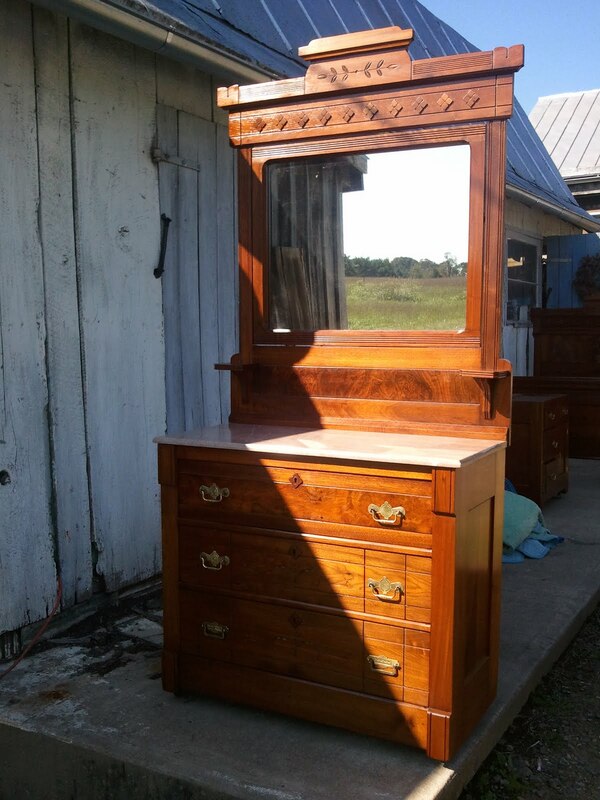 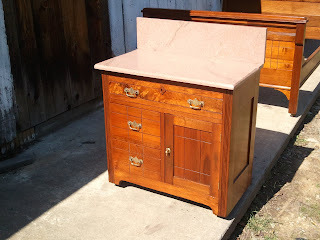 The chest and mirror frame have tops made from Tennessee marble which is actually a stone (not a true marble) found and quarried in east Tennessee. The pinkish hue of the stone really complements the walnut as you can see below. 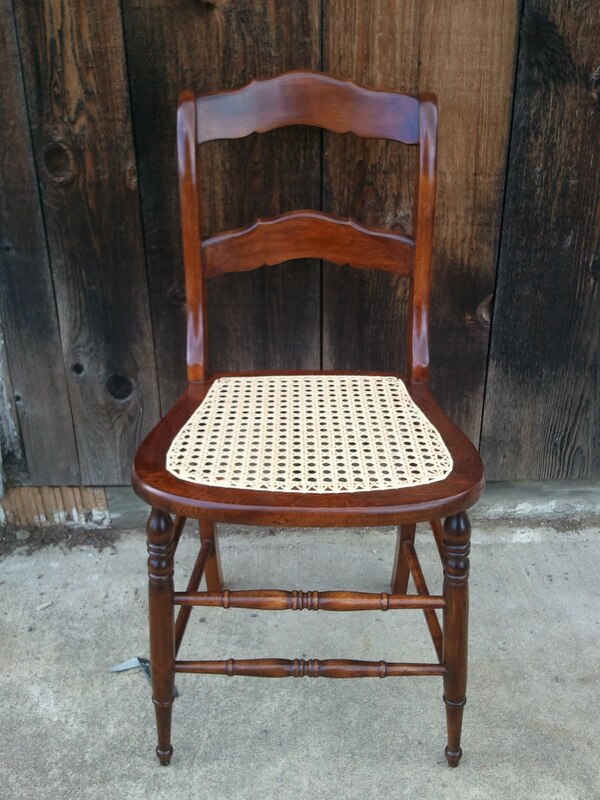 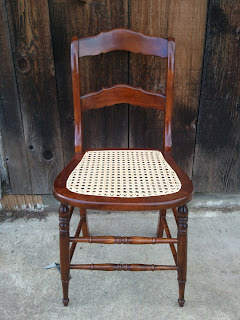 I have also included some photos of the Victorian side chair I was working on with a new cane seat. 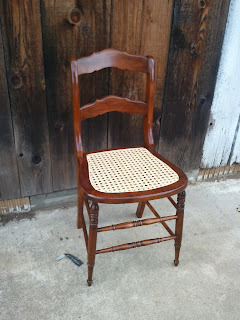 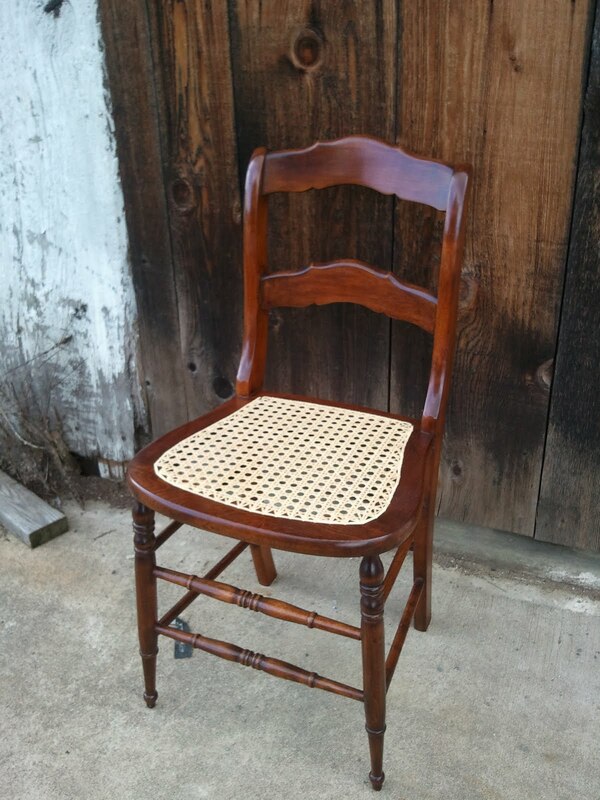 This chair went to the same customer as the Eastlake bedroom set, so I have included it here. 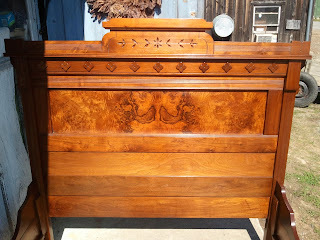 Before showing photos of the pieces I wanted to include a close up shot of one of the locks. The lock has a very small stamp on it showing a patent date of 1870. 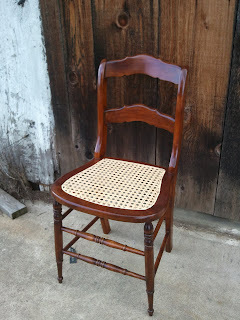 I believe these pieces to be made around 1880, but this is definitive proof that they were made post 1870. 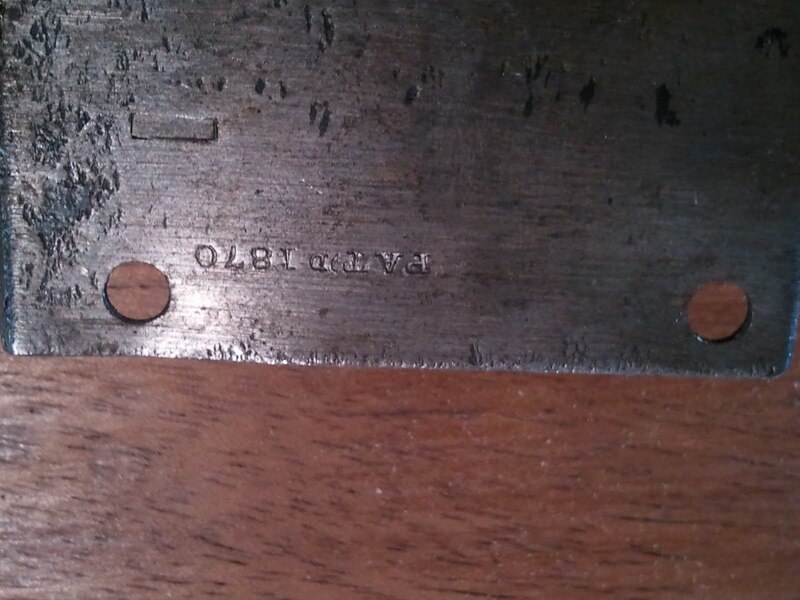 The image is upside down unfortunately but the date can still be seen. 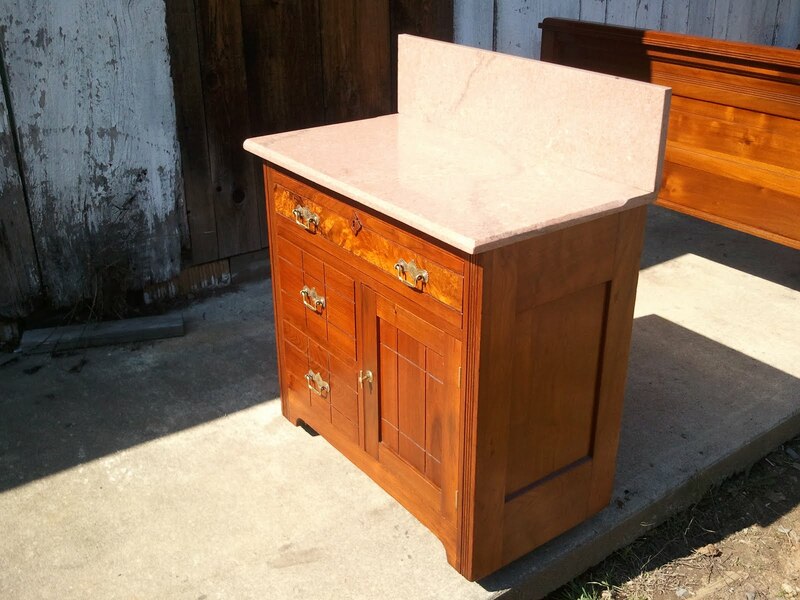 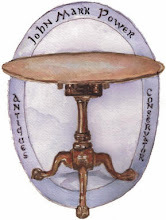 I happened upon your site while trying to identify a washstand I have. It looks exactly like the one you restored here, except for the grooves in yours and the fact that it has not been restored. 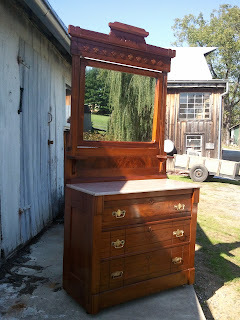 I just wanted to comment that you do beautiful work.